What’s the latest “need to know” news in cancer research? 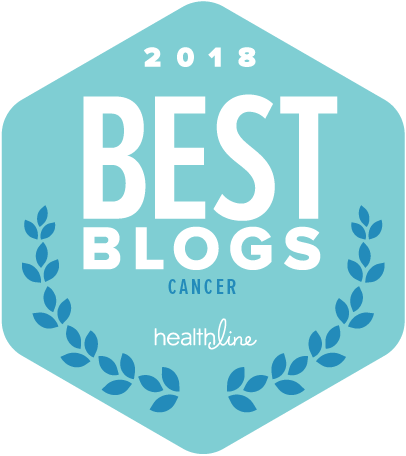 In this post, I’ll briefly review several of the most interesting cancer research stories that have been in the news this spring. Among the topics we cover this time are ways in which researchers are working to improve immunotherapy treatments so they can be effective for more people. The category of immune system therapies known as PD-1 inhibitors or checkpoint inhibitors, which “release the brakes” on the immune system to attack cancer cells, have been shown to be very effective for some patients with advanced cancer. The FDA has approved these therapies for a number of different types of advanced cancer. However, these treatments only work for some patients and the big challenge is how to make them more effective for more patients. At the recent annual meeting of the American Association for Cancer Research (AACR), findings were reported from various studies in which treatment with checkpoint inhibitors was combined with other therapies to increase effectiveness. One report which received a great deal of media attention was on the phase 3 KEYNOTE-189 clinical trial, also published in the New England Journal of Medicine. In that trial, patients with advanced non-small cell lung cancer were randomized to receive pemproblizumab (Keytruda) along with chemotherapy, or just standard chemotherapy treatment. The results were striking–69% of patients receiving the combination therapy were alive after one year compared with 49% of patients receiving the standard chemotherapy alone. There are many more studies looking for optimal ways to combine checkpoint inhibitors with other treatments. A post on the AACR’s research blog reports on some of those studies that were presented at the annual meeting. Another major form of immunotherapy is CAR T-cell therapy, in which a patient’s own immune cells are withdrawn from a blood sample, engineered to attack cancer cells and then injected back into the patient’s bloodstream. This treatment received FDA approval last year for certain types of blood cancer. However, it is complex and requires customization for each patient. Researchers are searching for ways to make CAR T-cell therapy work for more types of cancer. One research group believes that a key problem is that the starting material–the T-cells themselves that are extracted from patients–varies in its usefulness for this therapy. They’re investigating ways to improve the manufacturing process for the engineered cells that would address this problem. Other research is looking into developing a standardized form of CAR T-cell therapy. One group has created a master cell line–originating with cells from a healthy donor–that could be used to produce large quantities of “universal” T cells. The goal is to develop an effective treatment that utilizes the universal T-cells, eliminating the need for a customized product for each patient. An important large set of studies that together are referred to as the Pancancer Atlas have recently reached completion. An article in Medical News Today explains that the project, which has been ongoing for the last ten years, was driven by the recognition that cancers arising in different parts of the body can be similar at the molecular level, while cancers occurring in the same part of the body can actually be very different at the molecular level. The findings from this project are publicly available through a portal, and will provide a foundation for future research that could lead to improved targeted therapies and immunotherapies, as well as a better ability to personalize treatment to the molecular features of an individual person’s cancer. Earlier this year, the American Heart Association issued a statement warning about the increased risk for heart disease associated with certain breast cancer treatments. Although these risks have been known for a long time, the AHA wanted to call attention to the long-term risk of cardiac complications for some women who had been treated for breast cancer. Then, in March, data from a large study on preventing heart problems in breast cancer patients were presented at a major scientific meeting. The study looked at whether, for patients with HER2-positive breast cancer, adding an ACE inhibitor or a beta blocker to treatment could reduce risk for heart disease. The study was funded by the National Cancer Institute and enrolled 468 patients at numerous treatment centers. The data presented showed that, for patients who received the chemotherapy drug doxorubicin (an anthracyline) and then trastuzumab (Herceptin), the addition of either an ACE inhibitor or a beta blocker to their treatment significantly reduced cardiotoxicity. These findings need to be taken with caution as the study has not yet been published. Scientists are seeking to understand better why breast cancer is common in some families even though no known genetic mutations that increase breast cancer risk are present. A recent study published in Nature Communications looked at 210 people from 25 families that had multiple cases of breast cancer. The study identified 24 epigenetic changes that alter risk for breast cancer but do not involve changes in genes themselves. Such changes are heritable, that is they can be passed down from generation to generation. For the majority of women who undergo genetic testing, there is no explanation for their breast cancer predisposition. This ground-breaking work is not only helpful for women from families with many cases of breast cancer, it will improve breast cancer risk prediction for all women, and pave the way for the development of epigenetic therapeutics for breast cancer. That’s it for this time. If there was another recent cancer research story or article that caught your attention or if you have thoughts on any of what I’ve included, I’d love to hear from you!